IT’S A MOOD. IT’S MAGICAL. IT’S A TROPICAL STATE OF MIND. Bali is one from a lot of islands in the Indonesian Republic and is located between Java to the west and Lombok to the east, approximately 8 degrees south of the equator. Bali has been inhabited by the prehistoric race Australian–Asian, from Taiwan around 2 000 BC. Bali belongs to the small islands, and is unique in its culture and religion. It is the only island in the Indonesia Republic which has kept the Hindu religion throughout time. 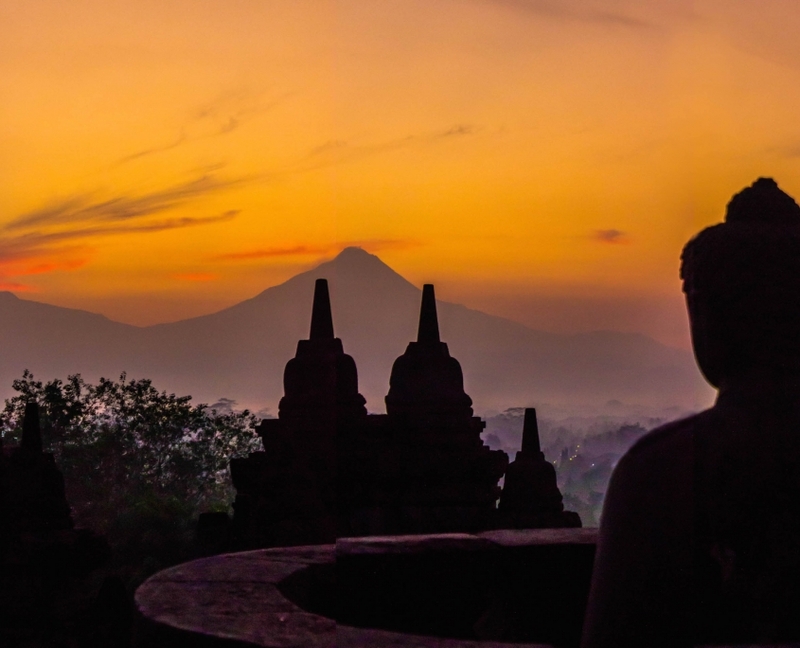 The original centre of Hinduism before was in Java, but the Hindu Majapahit empire from eastern Java was forced to leave because of the Islam invasion in the 15th century. Majapahit sultan as well as many intellectuals, artists, priests and musicians refuged to the smaller and not so easy accessible island Bali to keep their tradition and religion. This tradition and religion is still alive and well. Allow us to take you through this amazing island of gods and demons, studded by terraced rice fields, which are built up centuries ago, Hindu temples and particular villages with the smell of fragrant stick, to take part in the traditional Hindu ceremonies, to visit traditional markets with woodcarvers and artistic products, or to do fishing with the original boat. We offer you the possibility to see amazing underwater worlds in the ocean, sitting on the coast and listening to the murmur of the waves, or to hike through the tropical rainforest filled with stunning waterfalls. 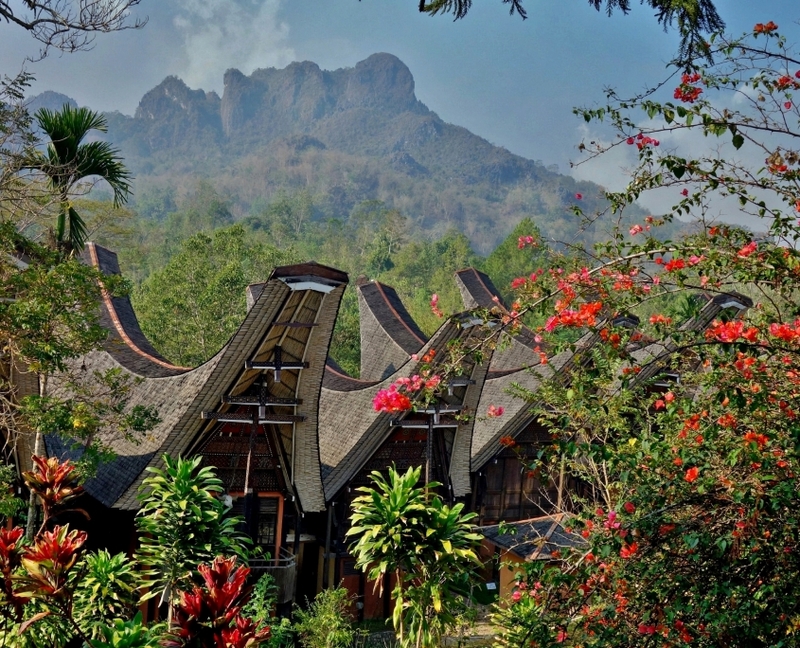 You can touch the Gods here and climb to the Gunung Agung, the highest mountain on this island. Proposal of this trips is orientation and everything is possible to adapt your demands and wishes. The prices depend on the present situation of the rate exchange, the season and the price of fuel. We organize tours through the other islands of Indonesia Java, Gili, Lombok, Sumba, Flores, Komodo. We also organize transport or tours under your wish and requirement. In this small island you can see the lush tropical flora and high mountains on the north, marvellous white send beaches and turquoise water of the ocean on the south-west, south and south-east. If you are seeking fun and recreation on the beach only or an active filled holiday with snorkelling, diving, surfing or climbing to the mountains Lombok is the place to be. Start from Bangsal or Mataram and go to Pusuk Pas next to Narmada Park to witness the history of The Kingdom of Lombok. After we will go to Central Lombok to see the handicrafts and woven sarongs made in the traditional Sasak village. DAY 2: Wake up early to enjoy the morning view and sunrise – At 7:00 am we serve breakfast and make the 4-5 hours return trip to Senaru. Price includes; guide, porter, food & drink, Equipment (tent, sleeping bag, mat, cooking gear), entrance fee and transport return. DAY 1: At 7.00 am, we leave Rinjani Trek Centre and hike through the tropical rain forest where we will see many interesting flora and fauna. We reach the crater Rim in the late afternoon where we will enjoy dinner at sunset. From here you will be able to look into the crater and see Segara Anak lake as well as have a preview of the next day’s journey. DAY 2: At 8.00 am, we leave the Rim and make the 2 hour journey down to Segara Anak Lake. Here we kick back and relax and enjoy a refreshing swim in the lake or soak in the natural volcanic hot spring. At 3:00 pm, we make the 2.5 hour return trip back up to the crater rim where we will spend the night, have dinner and enjoy the sunset again. DAY 3: From the lake, we make the 4-5 hour return trip down to Senaru. Price includes: guide, porter, food and drink, equipment (tent, sleeping bag, mat, cooking gear), entrance fee and transport return. DAY 1: At 7.00 am, we leave Rinjani Trek Centre to begin our climb. Traveling through local farmers fields and tropical rain forest. The cool morning hours we arrive at base camp III for lunch around 12 pm. Observe Rinjani’s infamous wild monkeys as your eat you meal, but be sure to guard your food from these mischievous primates! Afterward we continue on up to the crater rim for the first night to camp. Here we will enjoy our dinner as we watch the majestic sunset. DAY 2: If you wish you can get up early to watch the sunrise. After having breakfast and enjoying the lake view from the rim, we then make the 2 hour descent into the crater Segara Anak Lake. Once there, we will enjoy a long break by the lakeside and have lunch here. You can take a cool dip in the lake, relax in the natural volcanic hot spring, explore the area, or just take a nap. At 2:30 pm, we continue our trip to the Sembalun crater rim for dinner and the second night of camping. Be sure to get to bed early here because we get up early the next day to catch the sunrise from the summit! DAY 3: At 3:00 am, in the early morning we start the 3 hour climb to the summit of Mt. 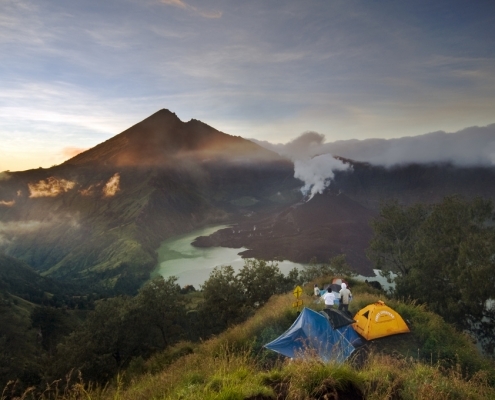 Rinjani to catch the sunrise at 3726 meters. After taking in the view from the top of Rinjani, we return to Sembalun Rim camp for late breakfast. At 10:00 am we descend down to the village of Sembalun, a journey of about 4-5 hours. Transport will be waiting for you there to take you to Senaru. Price includes: guide, porters, food and drink, equipment (tent, sleeping bag, mat, cooking gear) entrance fee and return transport. We organize the transport by fast boat from Amed to Gili Trawangan, Gili Meno, Gili Air, Lombok – harbour Bangsal. This trip takes 1 hour only. The adventurous travelling through the FLORES Island. Discover the beauty of this unique island, which offers picturesque scene of the magnificent volcanoes and mountain lakes. Visit traditional villages and get acquainted with local traditions behind the production of complicated and precious woven ikat. Travel through the charming landscape of coffee plantations and rice paddies with grazing water buffalos. Set out on a journey for Komodo Dragons in Rinca or Komodo Island, and discover the splendid untouched underwater world of these rich waters. Let us show you all this island has to offer. After the arrival at the airport, we drive to the beautiful seaside city of Ende and to a local restaurant for lunch. During the afternoon tour, we visit picturesque spots with a stop on the route in Wolotopo Village, seeing the local women on work on their skilful hand weaving. Late in the afternoon we arrive in Moni and check in at a hotel. Dinner and overnight in Moni. Early morning tour to Mount Kelimutu at 4:30am. It will take 45 minutes to drive there from Moni Village and then we climb up the hill for 2 kilometres, watching the sunrise from the top of Mount Kelimutu. Then we drive back to the hotel for breakfast and continue the tour to Jopu Ranggase Village, famous for its traditional old houses. Overnight at hotel in Ende. Breakfast at the hotel. The morning tour entails visiting the first President of Indonesia’s house and transfer to airport for onward flight. End of service with us. Upon arrival in Maumere on the Flores Island you will be welcomed by our local guide and given a history of the area and what we will see. Transfer to the hotel for overnight stay. After breakfast at the hotel, we visit a charming fishing village called Wuring in Maumere. We then visit the Ledalero Museum. In this small museum you’ll see a collection of woven Ikats, a highly sought after and collectable woven item in many sizes, along with precious stones. Sikka is known for its old church that dates back to 1899 and there are many Ikats to choose from which are enthusiastically sold by the local people. At Paga Beach we wil take some moments to relax and swim. Before Moni, you’ll visit traditional village Jopu. In Moni you’ll stay overnight at Kelimutu EcoLodge. Rooms are non-AC in this cool hill climate. At night you could take a stroll through the small village of Moni. Early morning at 4:30 am wake up call for departure to the Kelimutu volcano. A short walk (30 minutes) will take you to the sightseeing point to wait for the sunrise. Kelimutu means Mountain of the Spirits and it known for its famous tri-colour lakes: Turquoise, Brown and Black. It is the dissolved minerals that give the water the different colours. Breakfast will be served after our return to the hotel and we next return to Maumere. There you can rest at leisure, check out the town and stay overnight. Breakfast will be provided at the hotel. Afterward we transfer you to the airport for the next destination. After the arrival in Frans Seda airport in Maumere, will be welcomed by your tour guide. Lunch will be served at a local restaurant, and we then continue the trip to Moni via Paga & Wolowaru Village. Arrive in Moni check and check in at bungalows, we stay here for dinner and overnight. This trip will start at 4:30 am, drive up to the amazing view of tree coloured lakes of Kelimutu and enjoy the sunrise. Drive back to the hotel for breakfast, than continue the trip to Ende. Lunch at a local restaurant, and drive to Bajawa with a stop on Nanga Penda beach to see the Blue Stone. If time is permit your guide will take you to Soa to enjoy the hot springs, then check in at hotel for dinner and overnight stay. After breakfast, we first visit Bena the Traditional Village of Bajawa. Then continue the trip to Ruteng, with a stop Aimere to see the “ARAK” (the local and very popular moonshine of the region) distillation and fresh palm juice tapping. Lunch will be served at a local restaurant. Afterwards we continue the drive to Labuan Bajo with a stop at Cancar spider web Rice Field. On arrival in Labuan Bajo a direct check in at the hotel for dinner and overnight. Breakfast at the hotel, we transfer to the harbour and catch the traditional wooden power boat to sail to Rinca Island. Upon arrival, we go trekking at Loh Buaya Rinca Island to explore the wild Komodo Dragons, other animals and to see the many kinds of tropical birds. After trekking we sail to Bidadari Island for swimming, fabulous snorkelling and a relaxing time at the unspoiled coral reef with many kinds of colourful fish. Dinner and overnight on the boat. Breakfast on the boat, and then sail to Labuan Bajo direct transfer to the airport with a stop at the expansive cave named Batu Cermin (Mirror Cave). You then fly to your next destination. Price 450 EUR (7.500.000) / 1 PAX. Upon your arrival in Maumere airport, you’ll pick up by our guide and transfer to the hotel. Early in the morning we depart from Maumere to Moni. On the way you will visit Wuring, a Bajonese fishing village. Afterwards, you are heading to the Ledalero museum with examples of the various ikat weavings of Flores, fossils and a history of the area. From Ledalero, you will visit Sikka, the village that was the first Portuguese colony on the island. Here, you will see the Old Church built in 1899. After Sikka, we continue to Paga beach where your lunch will be served in a local restaurant. On the way to Moni, you will visit village Wolowaru with traditional houses. We then go to the hotel in Moni. Here the hotels have no air con but not worries, Moni is chilly and is located just under the slopes of Kelimutu. Wake up early in the morning at 4:00 am departure for the tree – colour lakes of Kelimutu. A short walk (30 minutes) will take you to the breath taking lookout point to wait for the sunrise. Kelimutu means Mountain of the Spirits, known for its famous 3 colour lakes: Turquoise, Brown and Black. It is the dissolved minerals that give the water the different colours. You will have breakfast and then return to the hotel. The trip will continue through the beautiful landscape via Ende to Bajawa, with stops at first president Soekarno’s House in Ende, on the green stone beach Pengga Jawa and at the beautiful views of the Ebulobo volcano. Just before Bajawa we stop at traditional village called Wogo. In the morning we visit the traditional village of Bena. It is still intact with the megalith stones and old houses of many years ago, this village has beautiful views of Mount Inerie. The trip then continues to Labuan Bajo. On the way to Labuan Bajo, we visit Lake Rana Mese, Ruteng town, and the Spider Web rice fields at Cancar. Lunch will be served in the restaurant in Ruteng. The rest of the day you can explore the town of Labuan Bajo. Our purpose for this day is to see the infamous Komodo Dragons. This lizard is the largest of its kind on earth and lives on only 5 islands – Rinca, Nusa Kode, Gili Motang, Komodo and some parts of West Flores. Its length can go up to 3 meters in length with weight of up to 90 kilos. Breakfast in the hotel and transfer to the harbour to depart to Rinca Island. This trip is over the blue tropical waters past hundreds of small islands and will take approximately 2 hours. On our visit to Rinca Island we will walk 1-2 hours with a local ranger in search of the Komodo Dragons. Rinca is also the home for wild water buffalo, deer, boar and various species of tropical birds. Afterwards we head to Bidadari Island to discover the splendid underwater world of these rich waters for swimming and snorkelling. The return trip to Labuan Bajo will take around 30 minutes. Upon arrival at the harbour, we transfer to the hotel in Labuan Bajo for an overnight stay. Breakfast at the hotel and a leisurely day until transfer you to the airport for your next destination. Upon arrival in Maumere on the Flores Island, you will be welcomed by our local guide. Transfer to the hotel for an overnight stay. After breakfast we visit fishing village Wuring in Maumere. Afterwards, you are heading to Ledalero Museum, a small museum where you will see a collection of woven Ikats and precious stones. The town of Sikka is known for its old church from 1899 and Ikat which is enthusiastically sold by the local people. On Paga Beach, you will have some time to relax and swim in the pristine water. Before the return to the town of Moni, we visit a traditional village called Jopu. Out overnight stay is in Moni. Rooms are non – AirCon as this area has a cool climate. At night you can stroll through the charming village of Moni. Early morning wake up call to depart to the Kelimutu volcano. A short walk (30 minutes) will take us to the lookout point to wait for the sunrise. Kelimutu means Mountain of the Spirits. Well known for its famous 3 colour lakes: turquoise, brown and black. It is the dissolved minerals that give the waters their different colours. Breakfast after we return to the hotel. Then we continue through the beautiful landscape for an action packed day – via Ende to Bajawa with stops at first president Soekarno’s house in Ende, a stop at the Green Stone Beach called Pengga Jawa, a stop to see the beautiful views of the Ebulobo volcano and before Bajawa, a stop at a traditional village Wogo. Overnight at Bajawa. In the morning, we visit the traditional village of Bena. Besides still being intact with the original megalith stones besides the old houses, this village is in a beautiful location with views of Mount Inerie. In the afternoon, we depart to Ruteng. On the way we visit Lake Rana Mese and Ruteng Puu. Overnight in Ruteng. The purpose of this day is to see the Komodo Dragons. This largest living lizard on earth lives on 5 islands Rinca, Nusa Kode, Gili Motang & Komodo and some parts of West Flores. It’s length can go up to 3 meters with weight of up to 90 kilos. In the morning starts the journey to Labuan Bajo. On the route, we visit the Spider web rice fields at Cacar. After our arrival in Labuna Bajo , we get onboard a boat to cross to less famous Rinca Island. Lunch is served on the boat. After 1 ½ hours of sailing, we reach Loh Buaya. Guided by a local ranger, there is a 2 hour soft trek through the forest and savannah. Komodo Dragons are often spotted along the way. From the highest point of this hike, one can see a beautiful panorama of the surrounding island. Dinner and overnight on the board of the boat. Early breakfast on the boat and departure to Komodo Island. This trip over blue tropical waters and past hundreds of small islands will take approximately 3 hours until we reach the Pink Beach. Here we serve lunch and have time to discover the splendid underwater world of these rich waters (snorkels and fins are provided). Next, onto visiting Komodo Island, where we have an hour long walk with a local ranger in search of the Komodo Dragons. During this visit, we also see wild buffalo, deer, pigs and various species of tropical birds like the Cockatoo. The return trip to Labuan Bajo will take around 4 hours. Upon arrival at the harbour we transfer to the hotel in Labuan Bajo for an overnight stay. Breakfast in the hotel, transport to the airport for your next destination. Upon arrival in Maumere on Flores island you will be welcomed by our local guide. Transfer to the hotel for an overnight stay. After Breakfast we visit a fishing village Wuring in Maumere. Afterwards, you are heading to Ledalero Museum. In this small museum you will see a collection of woven Ikats and precious stones. Sikka is known for its old church from 1899 and the Ikat, which is enthusiastically sold by the local people. At Paga Beach we take a moment to relax. If you like, you can swim here. Before the return to Moni we visit a traditional village called Jopu. In Moni you’ll stay overnight at Kelimutu EcoLodge. Rooms are non – aircon in this cool hill climate. At night you could make a stroll through the small village Moni. Early morning wake up call for departure to the Kelimutu volcano. A short walk (30 minutes) will take you to the look out point to watch the sunrise. Kelimutu means Mountain of the Spirits. Well known for its famous 3 colour lakes: Turquoise, brown and black. It is the dissolved minerals that give the waters their different colours. Breakfast after we return to the hotel. Continue through beautiful landscape via Ende to Riung. This trip will take you from the south coast, to the dryer north coast of Flores, with a stop at a green stone beach called Pengga Jawa. The last part of the road is old and a bit bump. This day includes a boat trip to the National Park with 17 islands near Riung. Here a great variety of fish and coral can be seen. Snorkels and fins are included in the tour, and the first stop is to witness the hundreds of flying foxes that hang in the mangrove forests near the coast. Lunch is served on one of the remote islands. After, we return to Riung and the rest of the day is for leisure. Overnight at Pondok SVD. In the morning we departure for Bajawa. En route we visit Soa Hotspring where the hot water boils to the surface and you can take a bath if you like – don’t worry, it is safe. Next stop at the village Naru where we check into the hotel. In the afternoon visit Wogo, a traditional village. Overnight is in Silverin or Bintang Wisata Hotel in Bajawa. In the morning we visit the traditional village of Bena. Besides still having the intact megalith stones besides the old houses, this village is in a beautiful location with views of Mount Inerie. In the afternoon we depart for Ruteng. On the way, we visit Lake Rana Mese and Ruteng Puu. Overnight is at the Santa Maria or Dahlia Hotel in Ruteng. Our purpose for the day is to see the Komodo Dragons. The dragons are the largest living lizards on the earth and live on 5 islands Rinca, Nusa Kode, Gili Motang & Komodo and some parts of West Flores. Its length can go up to 3 meters with a weight of up to 90 kilos. The morning journey is to Labuan Bajo. En route we visit the spider web rice fields at Cacar. After the arrival in Labuan Bajo, we board a boat to cross to the secluded island of Rinca. Lunch is served on the boat. After a 1 ½ hour boat ride, we reach Loh Buaya. Guided by a local ranger, there is a 2-hour soft trek through a forest and savannah. Komodo Dragons are often spotted along the way and from the highest point on this hike, there is a beautiful panorama of the surrounding island. Dinner and overnight on the boat. Early breakfast on the boat and departure for Komodo Island. On Komodo Island we go for a walk (1 hour) with a local ranger in search of the Komodo Dragons. During this walk, we also see wild buffalo, deer, pigs and various species of tropical birds like the Cockatoo. Afterward we will head to Pink Beach. This trip is over blue tropical waters and past hundreds of small islands, it will take approximately 3 hours. Here we have lunch and time to discover the splendid underwater world of these rich waters (snorkels and fins are provided). Then return to Labuan Bajo will take around 4 hours. Breakfast in the hotel and transport to the airport. Upon your arrival in Labuan Bajo, our guide will welcome and take you to the harbour to go to the Loh Buaya site on Rinca Island. There we will discover the Komodo Dragons and other wild life. During the trek, a local ranger will accompany us through the forest and savannah. Here you can choose to either go for a one or two hour walk (we recommend the 2 hour walk). There is a greater chance to see more animals and the views are more beautiful. Lunch on the board. The Late in the afternoon, we head to Labuan Bajo. Upon your arrival in Labuan Bajo, our guide will welcome and take you to the harbour to go to the Loh Buaya site on Rinca Island. There we will discover the Komodo Dragons and other wild life. During the trek, a local ranger will accompany us through the forest and savannah. Here you can choose to either go for a one or two hour walk (we recommend the 2 hour walk). There is a greater chance to see more animals and the views are more beautiful. Lunch on the board. Snorkeling on the Pink Beach. The Late in the afternoon, we head to Labuan Bajo. Upon your arrival in Labuan Bajo, our guide will welcome and take you to the harbour to go to the Loh Buaya site on Rinca Island. There we will discover the Komodo Dragons and other wild life. During the trek, a local ranger will accompany us through the forest and savannah. Here you can choose to either go for a one or two hour walk (we recommend the 2 hour walk). There is a greater chance to see more animals and the views are more beautiful. Late in the afternoon, we head to Kalong Island to see the large the fruit bats. Overnight is on the boat. Early in the morning after breakfast on the boat, we are heading for Bidadari Island. You’ll snorkel there and discover its underwater riches. Lunch is provided on the boat. After lunch, the last destination is Labuan Bajo to catch your flight to the other destination in the afternoon. In the morning, we board on the boat that. 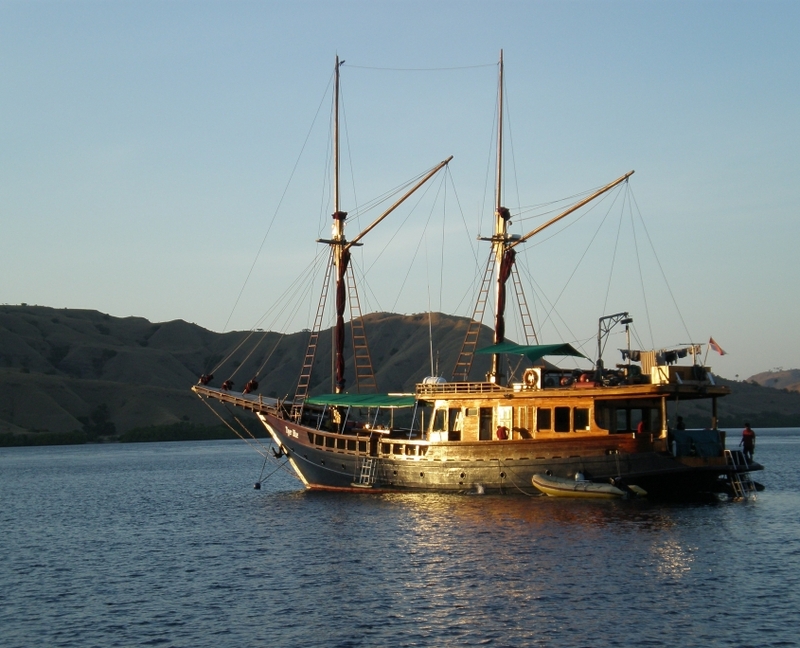 During the day we cruise around Komodo and Rinca Islands. At Rinca, we go ashore to trek with a ranger to see the magnificent Komodo Dragons, wild pigs, buffalos and birds in their natural environment. Continue to Komodo Island, where you can explore the shallow reef at Pink Beach on the island’s east coast. Overnight aboard the boat near Komodo. We go ashore this morning for another trek on Komodo Island with a local ranger. Return to the boat for a cruise back to Labuan Bajo with lunch served while under way. After arrival, we take you to your hotel in Labuan Bajo. Check in and the rest of the day is for leisure at the hotel. Dinner and overnight in the hotel. Cruise back to shore to visit a unique cave called Batu Cermin – home of a large bat and monkey population. This site includes panoramic views of the mainland and bay. Finally, transfer to the airport for your flight to the next destination. Upon arrival, you will be picked up by our local guide who will take you to the boat, Then we are off to Komodo Island, lunch boxes are provided on the boat. After 4 hours of boating, we arrive at Komodo Island (Loh Buaya) in the early evening. Dinner and accommodation will be on the boat. After breakfast, we trek through the beautiful island to find the elusive Komodo Dragons. Along the way, we will also see other various types of wild animals and species of tropical birds. Then, we return to the boat and proceed to Pantai Merah (Pink Beach). There you can enjoy swimming and snorkelling over the beautiful coral reefs, full of colourful fish. Lunch will be served on the board of the boat. Then, we have a beautiful boat ride as we continue to Rinca Island. Dinner and accommodation will be on the boat. Early breakfast on the boat, and then onto trekking Rinca Island. We walk through the dry savannah to find the Komodo Dragon and explore the island itself. You will see the wild horses, wild buffalo, deer and boar. Sometime you will find the young Komodo dragon up in the trees as a local ranger leads you through this Conservation Park. Next, we go back to the boat and proceed to Pantai Bidadari for an afternoon of swimming and snorkelling. Lunch is provided on the boat. After lunch we will return to Labuan Bajo and go directly to the hotel for dinner and an overnight. Breakfast at hotel and then proceed to visit Mirror Stone Cave – home to a large bat and monkey population. This site includes panoramic views of the mainland and bay. Afterwards, we take you to the airport to the next destination. Upon arrival at the airport in Labuan Bajo, our local staff will meet and greet you there and take you to Labuan Bajo harbour. You board a local dive boat to go across to Komodo Island or recommended dive site that is decided on the spot by Dive Guide/Master after considering the current diving conditions. We stay overnight on the boat. Your afternoon dive will take place in after the same considerations regarding currents and visibility in the area. Breakfast in the hotel and a morning excursion visiting Batu Cermin – home to a large bat and monkey population. This site includes panoramic views of the mainland and bay. Finally transfer to the airport for your flight to next destination. Upon arrival, our local staff will greet you at the airport before taking you to Labuan Bajo harbour. We go board the local dive boat and go across to Komodo Island or a recommended dive site decided on the spot by the Dive Guide/Master. Stay overnight on the boat. Your afternoon dive will be in a fabulous spot in the area. Full days of fantastic diving from the boat; all meals served on board. Breakfast at the hotel with a morning excursion visiting Batu Cermin – home of a large bat and monkey population. This site includes panoramic views of the mainland and bay. Finally transfer to the airport for your flight to next destination. Personal expenditure such as laundry, phone calls, tipping, airline tickets, entrance fees, soft drinks and alcoholic drinks, camera fees, etc. Dress is casual. Clothing should be light, preferably cotton with at least one long sleeved shirt and long pants. You will want to have a bathing suit, thongs or sandals, sneakers or walking boots, camera, replacement batteries, and spares. Women please note that Indonesia is a mostly Muslim country and the custom dictates modesty. Please be well covered on shore excursions (shoulders and legs). Bring a light sweater or jacket as it can get cool in the highlands. Also bring sun-screen, insect repellent, sunglasses, and sunhat. Please advise beforehand if you have any special dietary requirements. Beer is available at local rates. It is very important that you bring also your passport, visa, airline tickets, local currency, US$ or EUR. We look forward to your joining us on this wonderfully memorable experience. This most populous island of Indonesia and the 13th largest island of the world will surprise you with its virgin to deserted landscape, ever-smoking volcanoes, rice and tea plantations, ancient millennium sights where Islam blends with Christianity and Hinduism, and thanks to this diversity, you will discover an unexpected degree of tolerance and helpfulness local population. Do not hesitate to discover the hidden spells of this island with us. Just 1.5 hours by airplane from Denpasar is this forgotten island with a culture as unique as the Balinese. Sumba island remained for centuries out of the interest of local rulers and colonizers. Thanks to that it has developed a very unique religious tradition and culture that still defies influences of modern civilization. Everyday life and work on Sumba is still governed by the principles of animist beliefs Marapu, whether it concerns rice planting or ancient martial rituals PASOLA. All of this is in order to maintain the favor of the ancestors. At each step we can see giant stone tombs (KUBURANADA), herds of buffaloes intended for sacrificial rituals or women they are planting rice, dancing and singing to the spirits, to ensure for themselves and their families a rich harvest. There’s even a spiritual charge are not devoid of favorite vices, such as chewing betel nuts. Although it is a habit that provable damages human health as smoking, on Sumba consider it as a necessary means of strengthening peace and initiate communication. 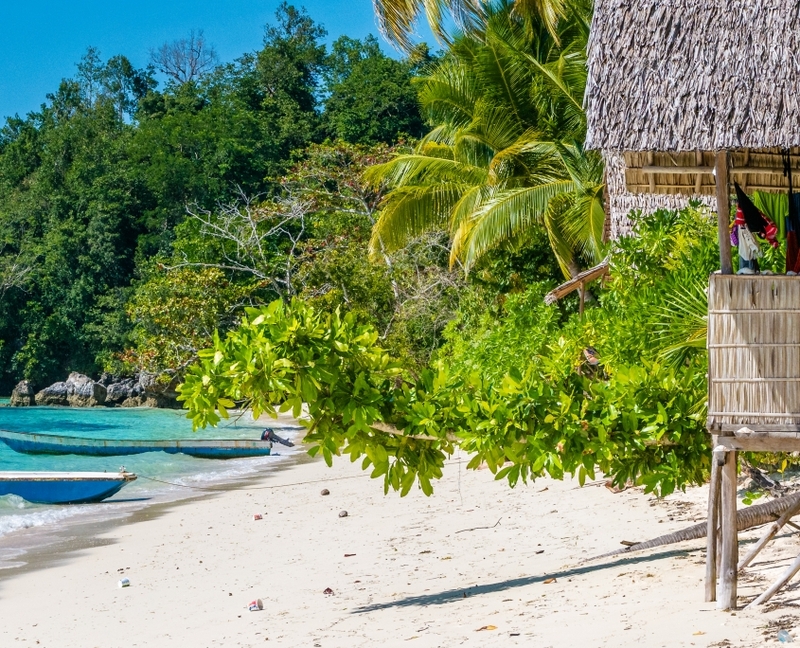 Be amazed by breathtaking mountain scenery, Tana Toraja’s unique and mysterious culture, or head to the Togian Islands with the most beautiful beaches in Indonesia. Spend adventure to the Stone Age, where you literally touch your own life with the unique ethnicities of the tribes Dani, Lani, Yali. Discover the secrets of the last paradise at the end of the world with us and let yourself be impressed by the richest underwater life in the world (turtles, mantas, sharks, barracuda, colorful coral reefs and their inhabitants), rystal clear waters and scenery of limestone homolos spread out in the sea, covered with lush tropical vegetation. A magical and original way to discover Indonesia. 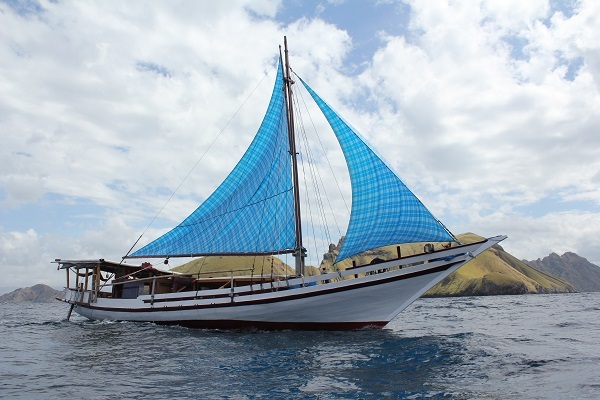 Enjoy our extraordinary private or group boat tours aboard traditional sailing ship and explore the Eastern islands of Indonesia. Visit and explore destinations rarely visited by mainstream tourism and witness the majestic beauty of protected and pristine lands. Enjoy a wide range of adventurous recreation including diving, snorkelling, and trekking. We provide professional and knowledgeable services for the organization of your trip throughout Indonesia. Our team of professionals speak English and French fluently and are available to assist you 24 hours a day, 7 days a week to create a priceless journey in this idyllic environment. Discover amazing flora and fauna, pristine waters, and lush tropical surroundings. Explore uninhabited islands and relax on pristine beaches surrounded by the crystal clear waters. Climb to heights and witness stunning sunsets, contemplate majestic volcanoes and enjoy natural pools formed by clear waterfalls. Take this magical trip and leave civilization behind. Experience a privileged journey aboard our boats, in the reassuring comfort of a well-equipped vessel handled by a caring and reliable crew! Get in touch with your long forgotten aquatic nature! Freediving is the art of diving on a single breath, which combines yoga and specific breathing exercises. Freediving is a sport that combines physical activities with a journey deep into you: your mind, body and environment work together to achieve progress. Explore the magical underwater world in a protected environment. Expand your freediving skills surrounded by a beautiful nature. We are proud to introduce the first 100% Freedive Liveaboard Boat in Indonesia: Zirbad. All freediving activities aboard are overseen by a professional Freedive instructor. All the sessions are organised according to the weather conditions, the currents and the tides. Freediving passengers must be certified AIDA 2*, SSILv1 or equivalent to join the cruise. Please contact us to ensure that you have the right level of certification. If you are not certified at the right level, or wish to join a refresher course, plan to stay three days in Bali before the departure. We’ll be happy to help you organise the right course for you! We cooperate closely with two freedive schools: Freedive Flow Bali and Apnea Bali. Discover the best sites in the Archipelago. Wander through the remote and untouched sites to an exclusive diving experience. In the course of a one-week cruise, a minimum of 16 dives are guaranteed. Price per day for 1 person no-diver from 140 EUR (Park Entrance fees for 1 person from 35 EUR). Price per day for 1 person diver from 185 EUR (Park Entrance fees for 1 person from 35 EUR). Surf in the Archipelago´s untouched in the unknown surf spots! Surfing is our passion, we invite you to experience the best of it with us! These trips are not only recommended for advanced and experienced surfers, but also non-surfers are welcome on board to enjoy the cruise and take in the amazing nature. The skipper and experienced surfer have a great knowledge of the ocean. They will get you to the right spot at the right time, drop you next to the line-up with the dinghy and guide you in the water. For Charters Expeditions, we are opened to all of your propositions. Ideal for documentary, photography and movie shoot as well as for adventurers who want to discover Indonesia in another way. We design custom-built journeys to support your project. 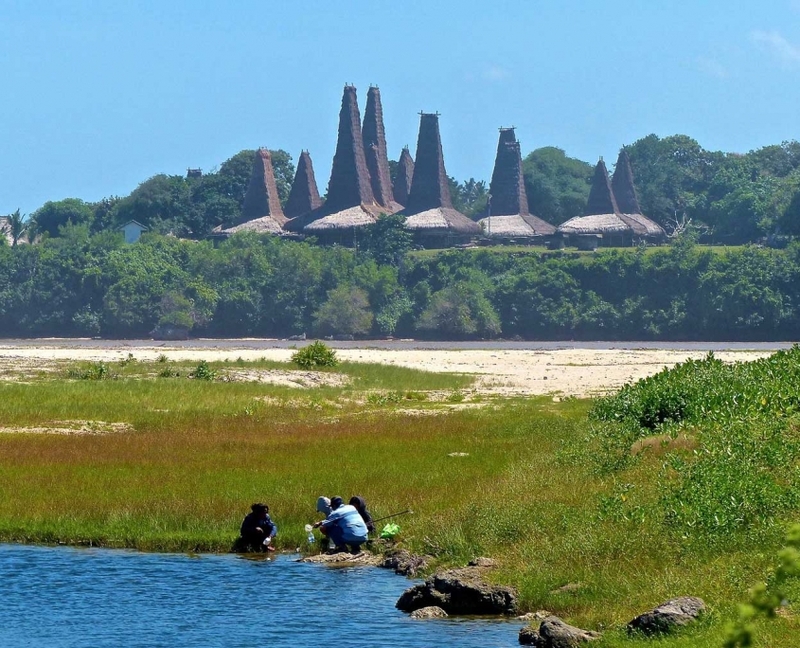 Departure from Nembrala or Kupang (Timor) in the South West of Rote island to the 3 tiny islands of Raijua, Sabu and Dana to find culture, animists tradition and stunning beaches in abundance. Then, sail to the beautiful islands of South Sumba, Menggudu – Kota – Lahalura, to be surrounded by mountains, jungle and sandy beaches. End the journey at Waingapu (airport) in the East of Sumba. Explore the amazing island of Sumba passing by Komodo National Park. From Waingapu (airport) to the 3 tiny islands of South Sumba (Mengudu – Kota – Lahalura), return to Labuan Bajo, Flores (airport). You will have the possibility to reach lost islands and an pristine environment formed by mountains, jungle and sandy beaches. Explore the beautiful islands of South Sumba, Menggudu – Kota – Lahalura and discover secret spots in the South West of Sumba. Then, Komodo open his door on the bay of South Rinca to visit its famous wild dragons, the magic mountain of Padar and a last swim with the Manta Rays before returning to Labuan Bajo. Welcome to Alor, a small island located at the North of West Timor, and at the end of an Eastern Flores little archipelago. 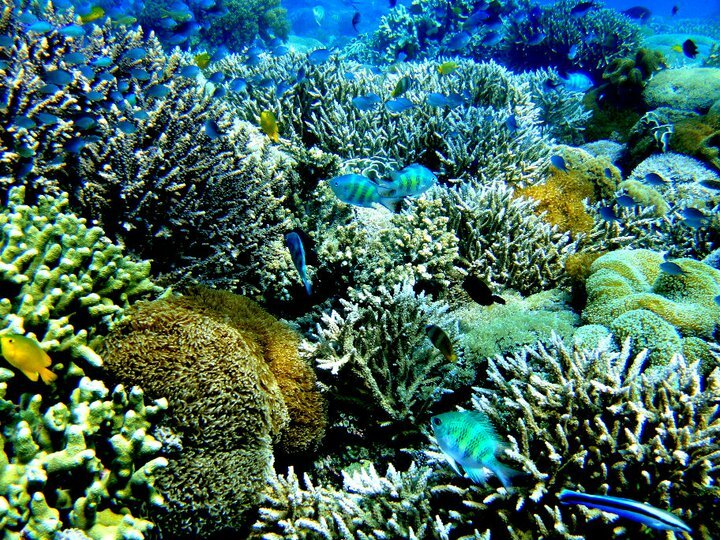 The first-class diving sites of Alor area have been pioneered recently. The topography, flora and fauna of Alor’s region are slightly different to the ones that can be seen in the Komodo area. The island offers scenery of smoking volcanoes surrounded by sparkling blue seas and emerald green forests fringed by sandy beaches. Diving in Alor promises great visibility, drift dives, walls and coral gardens; it is one of the most prolific and diverse eco systems on Earth. Sunfish, dolphins and whales can be seen there. 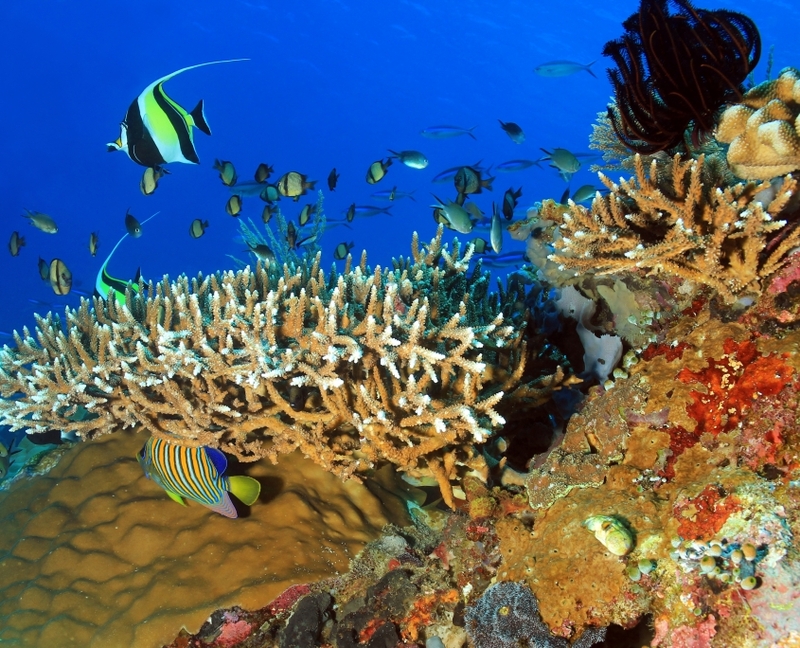 Get ready, the beauty of the aquatic world in Alor is hard to beat! Experience amazing cruises around the islands of South Sulawesi and discover the Wakatobi Park. Rarely visited by tourists, this area is a genuine paradise for snorkelers and free divers who are willing to explore exclusive sites. This small archipelago offers pristine beaches and magnificent coral reefs, in one of the finest treasures of Sulawesi. Stumble across the back of beyond aboard one of our boats and relish in the splendours of this outstanding island. Departure from Bira (transfer by car from Makassar airport) or directly from Wakatobi airport. Experience a diving at its best exploring the idyllic islands of Kai in the South of the Moluccas. 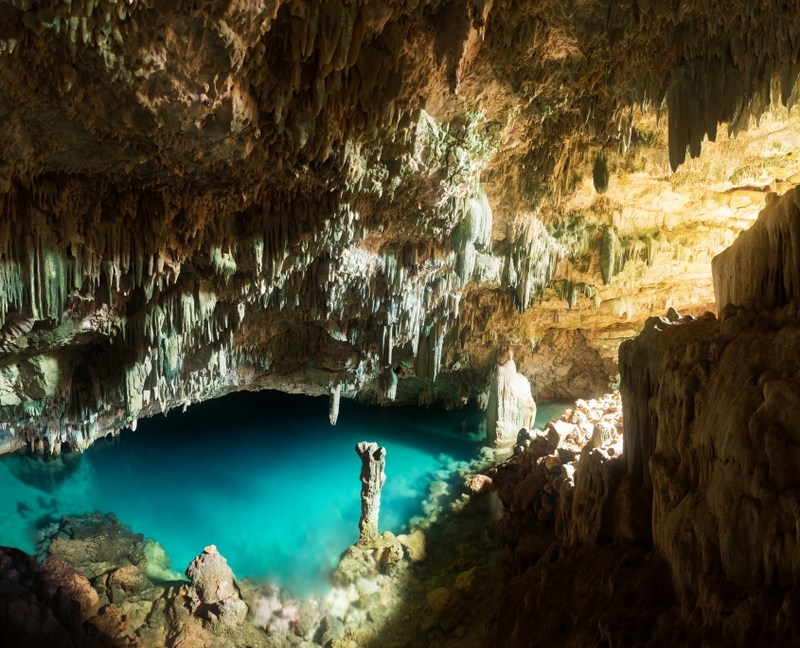 These dive sites are virtually unknown by tourists and are full of surprises. The flora is made of plentiful, colourful, healthy hard and soft corals. The fauna is rich, with various species that you will surely encounter during your dives: pygmy seahorses, mandarin fish, frogfish, moray eels and of course lots of nudibranchs. 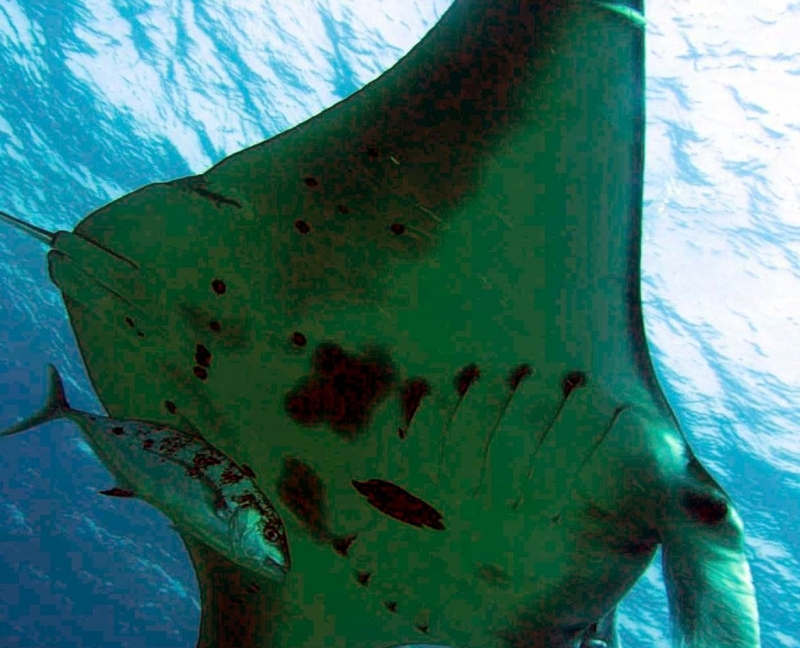 Big fish lovers will be able to see large shoals of jacks, bumpy parrotfish, barracudas, turtles, dogtooth tunas, fox sharks, reef sharks and sometimes, with luck, hammerhead sharks and mantas rays. The adventure starts here! An amazing journey that will take you to the spices islands (The Moluccas) intensely longed for by Ferdinand Magellan in the old days. This exquisite itinerary follows the Equator by the Northern route departing from Bitung (near Manado – North Sulawesi). Sail through the tiny islands between Sulawesi and the Moluccas to reach Morotai and the magical Halmahera. Fantastic snorkeling in unexplored spots, waterfalls surrounding beaches and with a bit of luck, encounters with whales on the way. Travel along the Equator and wander through the islands scattered in this archipelago. Take the Northern route from the Moluccas to Raja Ampat (Papua) and expect to be blown away. From the spices islands you will discover Raja Ampat archipelago located off the Papua coast. These 1500 islands, mostly mountainous, are the heart of the « Coral Triangle » which is one of the world first-class hotspot for biodiversity. Discovering the abundant marine life and the fantastic birds of this area is a pledge to a trip back into the wild. Raja Ampat archipelago located off the Papua coast. These 1500 islands, mostly mountainous, are the heart of the « Coral Triangle » which is one of the world first-class hotspot for biodiversity. Discovering the abundant marine life and the fantastic birds of this area is a pledge to a trip back into the wild. Price per day for 1 person from 170 EUR. These fabulous journeys are the far east of Indonesia is without a doubt one of the most outstanding expedition to accomplish in Asia. Don´t hesitate and sail with us not for adventure only.